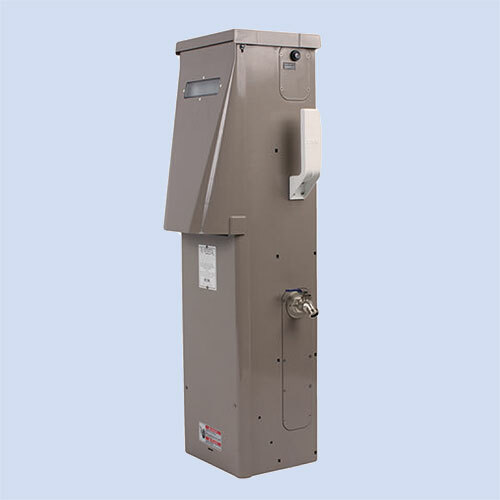 Manufactured by Eaton Marine, the Powerslide is a cost-effective alternative to the Powerhouse but still offers the features you want in a Marina or RV park pedestal. Guaranteed not to rust and amber LED light are some of the features of the Powerslide. Made of polycarbonate with a textured sandalwood (tan) UV resistant coating, the Powerslide is guaranteed not to rust or fade from the sun! 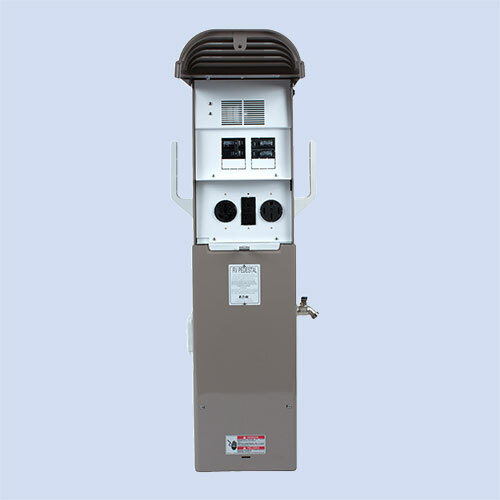 The 50/30/20 amp RV unit is available with an integrated digital meter, a meter socket, or unmetered and can be ordered single or double-sided. The Powerslide comes standard with an internal LED light with a light-sensing photocell. Options include phone, internet, cable, and water. 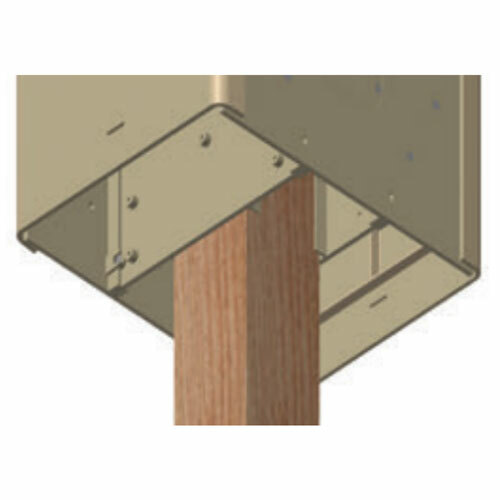 Mounting options are direct bury, pad mount or the innovative post-mount sleeve. 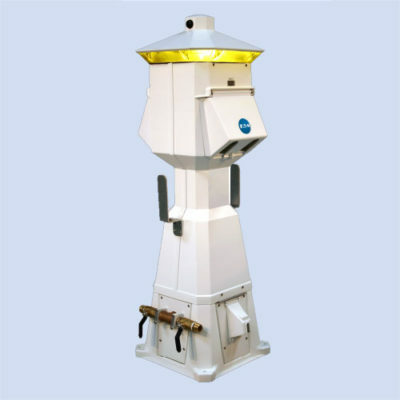 This pedestal can be locked while in-use.